Iran says it is looking into the possibility of using the facilities of German financial institutions to fund its purchases of planes from aviation giants such as Airbus and Boeing. Abbas Akhoundi, Iran’s minister of roads and urban development, told reporters that he had raised the issue in a meeting with the visiting German Minister of Transport and Digital Infrastructure Alexander Dobrindt. 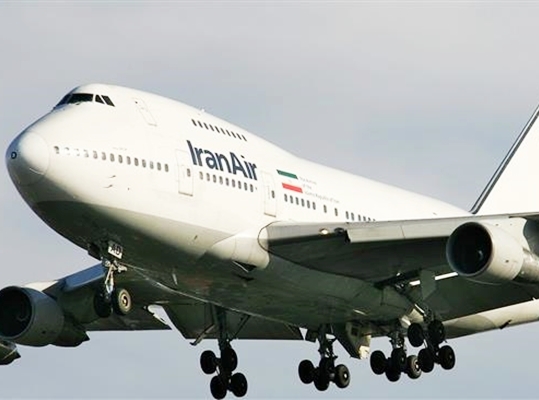 “Discussions with the German delegation included the possibility of using the leasing facilities of German companies for purchasing planes by Iran Air,” Akhoundi said after a meeting with Dobrindt, who is heading a major trade team to Tehran. The move could help push ahead a major plane purchase scheme that Iran is pursuing with giants Airbus and Boeing. Iran has sealed deals with both to purchase over 100 planes from each. Yet, the deals are still pending the identification of leasing institutions to fund the purchases. German Transport and Digital Infrastructure Minister Dobrindt, for his part, emphasized that Berlin has established a special office at the Federal Ministry of Finance to facilitate financial issues relating to doing business with Iran. The mission of the Office for Development of Banking and Financial Relations with Iran will be to expedite the proceedings for the finalization of major trade deals with Iran and also to facilitate Germany’s new investments in the country, Dobrindt emphasized. The German delegation arrived in Tehran this past Friday heading a major trade delegation to discuss the expansion of economic ties between the two countries. Iran and Germany signed six basic agreements to develop economic relations during the meeting between Akhoundi and Dobrindt. The agreements mostly concerned the participation of German companies in Iran’s plans to develop its transportation sector.